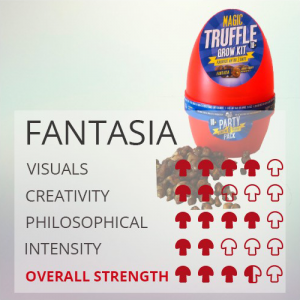 Are you interested in magic truffles? These psychedelic mushrooms are natural delicacies for both humans and animals. But through the years, their use has been restricted in many countries. In today’s legal high reviews, let’s get to know what make these mushrooms special and things that you should know. They’re the by-products of magic mushrooms and contain psilocin and psilocybin. These magic truffles, also known as the Philosopher’s Stones, have an official name of sclerotium. These are the two active substances in about 200 different magic mushrooms. When psilocybin has been ingested, it’s turns to psilocin, which possesses strong psychoactive effects. What are the effects of magic truffles? Both the psilocine and psilocybine cause reality changes. People experience the differences within 30 minutes to one hour after ingestion. Regarding the trip, it can last up to six hours. If interested taking magic truffles, people are advised to take it at the end of the day or during the weekends. They must not take the truffles before an important appointment or a job day because truffles can get them tired. Don’t use it alone, but with a group of friends. It is best if one of your friends will not take truffle to take care of all the others. If scared of the effects, don’t take magic truffles. Or else, you will have a bad trip. Have food supplies within reach. Find a quiet place to use it. Never take it with other psychoactive substances, such as tobacco or alcohol. What’s the difference between magic mushrooms and magic truffles? Both of them have psychoactive compounds, including baeocystin, psilocyn, norbaeocystin and psilocybin. They’re also both fungi, but not in the same way. A truffle is a survival mechanism of a grown fungus, which can grow out as a mushroom. However, when its white threads do not get enough nutrition and oxygen, it will then make a fungal fruit body that can develop underground. This fruit body is called a truffle or sclerotia, which takes a couple of months for full potency. For example, a Psilocybe hollandia takes less than 10 months for its full potential. 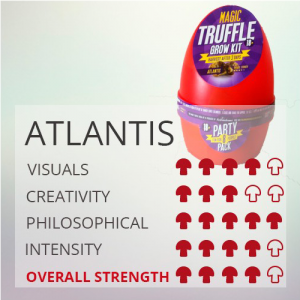 This truffle is the strongest of all. In addition, the difference between magic mushrooms and magic truffles don’t have anything to do with their strength. The last stage in the growth of shroom is the most potent phase generally. 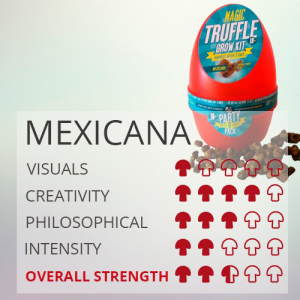 On the other hand, those truffles belonging to the same strain will have the same potency in most cases. It is also the reason it is easier to dose and much safer to consume. Selecting the right dosage and strength is according to one’s personal preference and the tripping experience he or she desires to get. You should also factor in your mood and well-being. 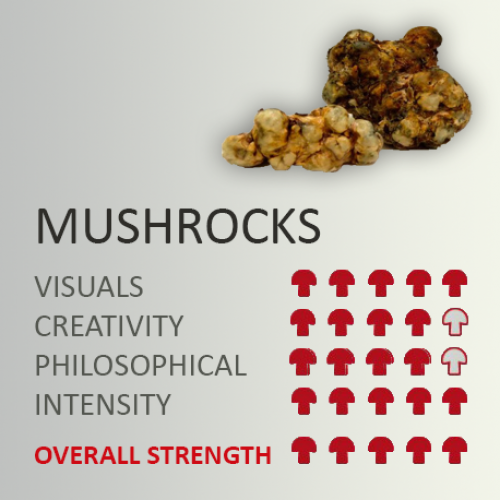 Both are important to consider when choosing the right truffle. It is not encouraged to trip when in a bad mood because truffles enhance the feelings and concepts already present in one’s mind. So if you have negative images in your mind you will have magnified negative images when you take truffles. Nevertheless, it is advised to start with only a 5-gram dose. But for first timers, they must use those with a strength range between 2.5 and 3.5 to gauge their body’s reaction to the new experience. There you have what to know about magic truffles that every psychonaut must know. What interesting information about the Philosopher’s Stones have we missed? Tell us in the comments.